Michael Clancy – a 59 year old from Limerick – is a staunch Munster Rugby supporter who has refereed many of the country’s top players down through the years. 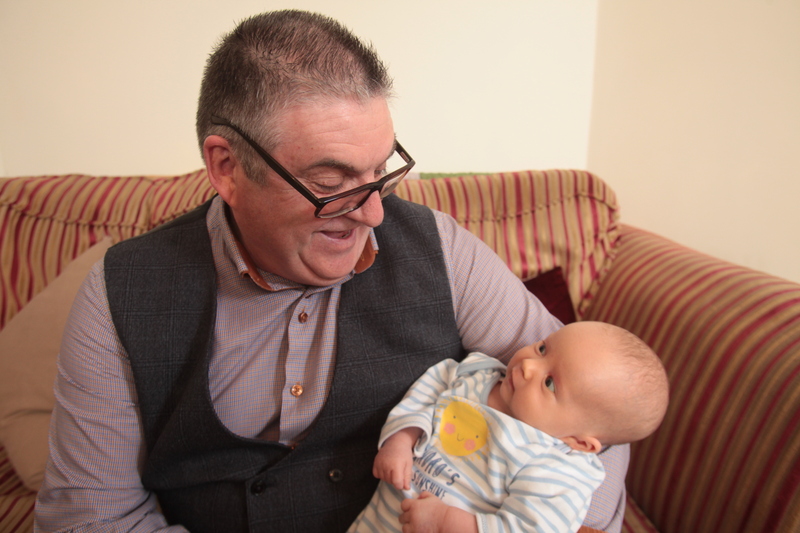 The father and grandfather was recently diagnosed with Motor Neurone Disease (MND), and is one of hundreds living with the illness across Ireland. Like other patients, he had initially tried to hide that his grip was failing before his deteriorating speech prompted him to seek help. “My sisters were worried I was drinking as I had started to slur my words! It took months of tests but eventually I was told I have MND. I spent the next four days just driving around with tears down my face. I had no idea how me and my family were going to cope”, said Michael. Michael has decided to share his story about living with his terminal disease in the hope that greater awareness will raise vital funds for those living with this degenerative and debilitating condition, which has a devastating effect on patients. “This disease has affected my hands so much soon I won’t be able to hold my precious little grandson. Soon he won’t be able to hear me speak,” said Michael. 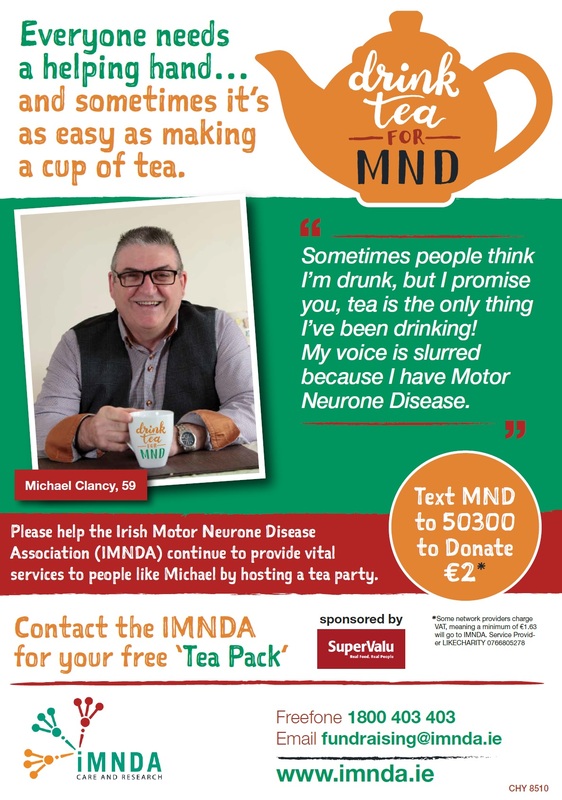 To help support Michael and the MND Awareness month, the Irish Motor Neurone Disease Association wants people to Drink Tea for MND this June. CEO Aisling Farrell said “We are so grateful to all the people who host tea mornings every year, because they help provide vital funds that go straight towards helping Michael and all our other patients. We are also grateful for the support of SuperValu and their network of stores across Ireland, who are providing us with the all important tea and biscuits. So let’s all raise a cuppa and share the stories of over 360 families right across Ireland affected by this disease”. Motor Neurone Disease (MND) is a progressive neurological condition that attacks the motor neurones, or nerves, in the brain and spinal cord. This means messages gradually stop reaching muscles, which leads to weakness and wasting. MND can affect how you walk, talk, eat, drink and breathe. However, not all symptoms necessarily happen to everyone and it is unlikely they will all develop at the same time, or in any specific order. The Irish Motor Neurone Disease Association (IMNDA) is the only organisation of its kind in this country. It was set up in May 1985 to provide care and support to people with Motor Neurone Disease, their carers, families and friends. There are currently over 360 people living with MND in Ireland. MND is often referred to as the 1,000 day disease as most people die within 1,000 days of being diagnosed. 1 person dies every 4 days from MND.